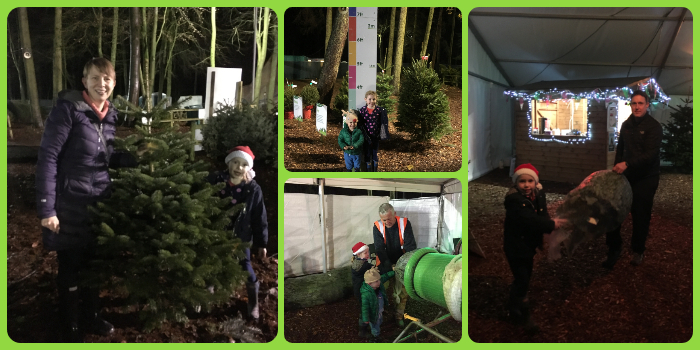 We were fortunate to be invited along to do a review of the Real Christmas Trees that are for sale at Delamere Forest. We weren't sure if we were going to have a real tree this year and did purchase an artificial one in the January Sales. However when the Forestry Commission contacted me about a review, then it helped us decide that it would be nice to have a real tree again! Going and picking a real tree is a fun experience for the kids. And the kids had a really great time tonight. It was a great opportunity to go as it was late night opening and was quite quiet. We actually bought our tree from Delamere last year. It was quite different as it snowed that day. I remember we had a really dicey drive there, slipping and sliding around on the roads. It was lovely to see all the trees covered in snow and made the whole sales centre quite magical. We didn't want to stay around too long though as it was very very cold and we had to brave driving back home in the snow! When we arrived the kids had fun being elves, reindeer and snowman whilst we waited for Mr MoaB to meet us from work. We then took a walk around the Sales Centre and headed towards the festive Tipi. This really is beautiful inside with a fire burning and lots of fairy lights. It's so inviting. To the kids great delight we found Father Christmas and they had the most amazing chat with him. He was the loveliest Father Christmas we've met. Father Christmas was making a special appearance for the late night opening. 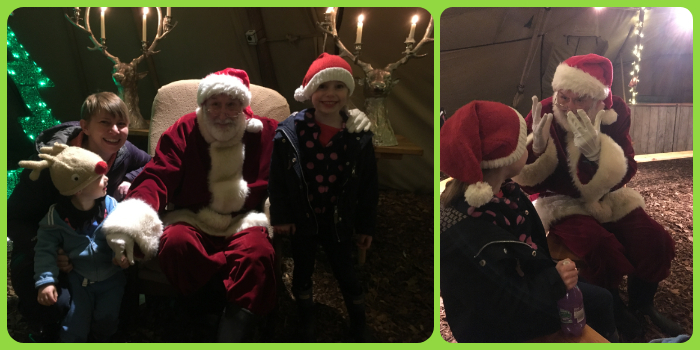 There is a Santa's Grotto on-site which is open at weekends. You don't need to book for this, you just turn up and queue. This is priced at £8 per child and £2 per adult. Delamere Events are providing the food and drinks in this Tipi. Mr MoaB was starving after work so grabbed a portion of chips to tide him over! 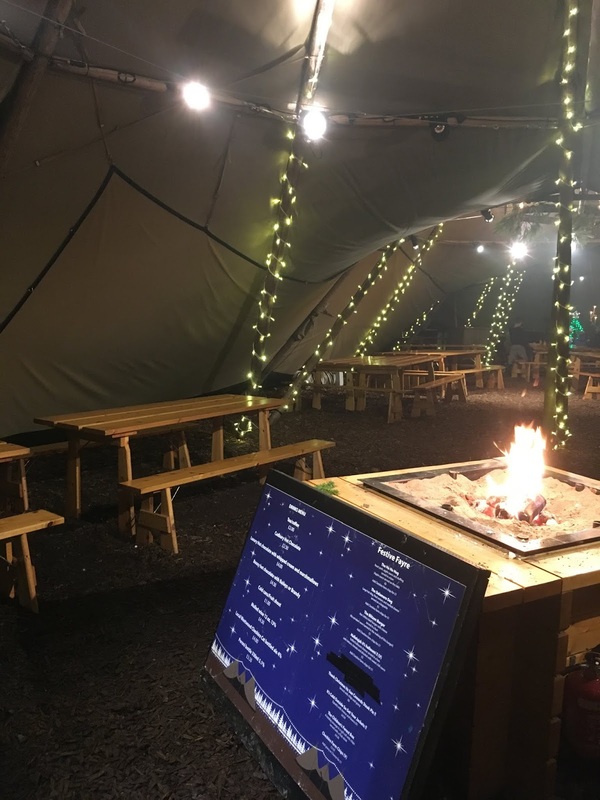 There are lots of hot food and drink options including mulled wine. 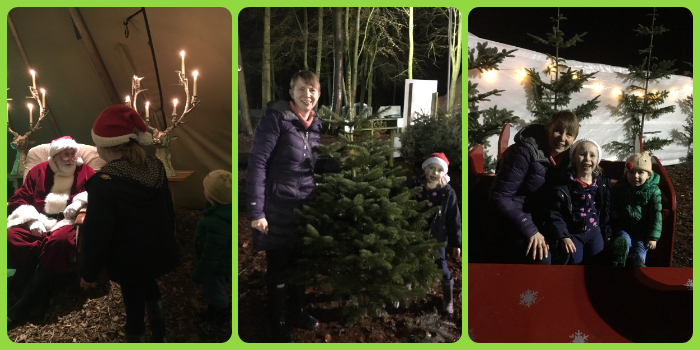 It was then time to choose our tree! We'd already decided that we wanted to get a Nordman Fir Tree. We found this section and then worked our way up the sizes before settling on the 5ft trees. There were a lot to choose from so we randomly picked a few out for inspection. The kids just enjoyed running up and down amongst them all. The site is well lit with floodlights so you can have a good look at the trees even when it's dark as it was tonight. Staff are on hand if you need help with selection or carrying your tree. Miss A proved really helpful with carrying ours! Prices for trees start from £30, depending on the size and species of tree. All are sustainable UK-grown trees. With every tree you buy, you receive a free Christmas tree sapling so you can grow your own! The whole experience was really easy. Once selected we took it to be netted up and then it was time to head home. We'll be decorating our tree at the weekend. 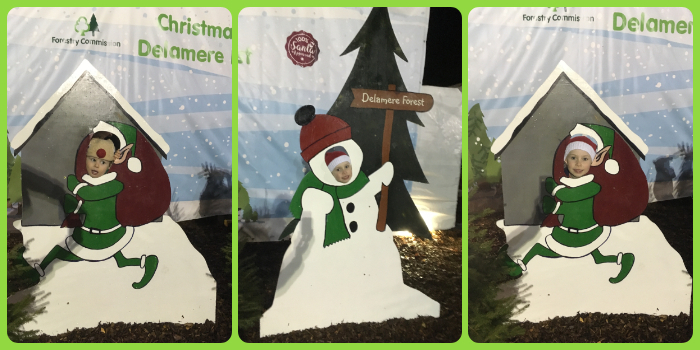 Find out more about the Christmas Trees at Delamere Forest. We know the forest well so you could easily make a day of it by going for a nice walk, maybe finding the Gruffalo statue, then stopping to buy your tree on the way home. Disclaimer: We were kindly provided with a free Christmas Tree in return for this review but all opinions are my own.